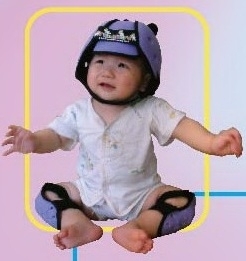 (OUT OF STOCK) Provide the ultimate in comfort and protection for crawling infants and toddlers. Gives your infant the confidence to take that all important first step without fear of bumps and bruises taking the OUCH out of every tumble. Protects against abrasive surfaces such as laminate, wood floors, stone tiles, or concrete. Also gives added protection when tumbling tots develop their gross motor skills further by playing with balance toys. 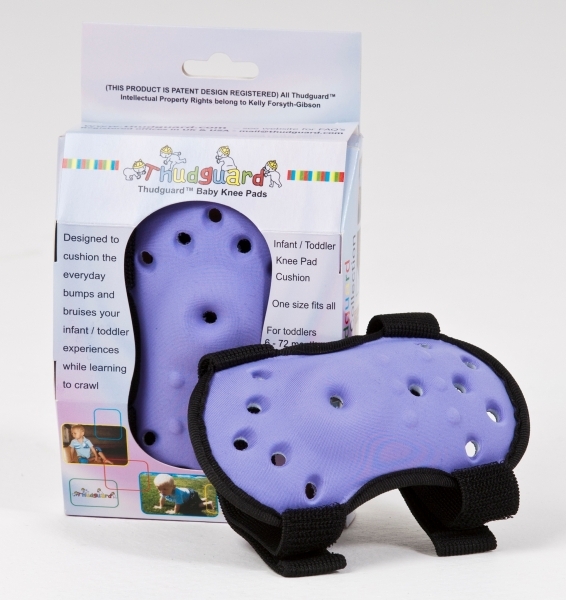 Provide the ultimate in comfort and protection for crawling infants and toddlers. Gives your infant the confidence to take that all important first step without fear of bumps and bruises taking the OUCH out of every tumble. 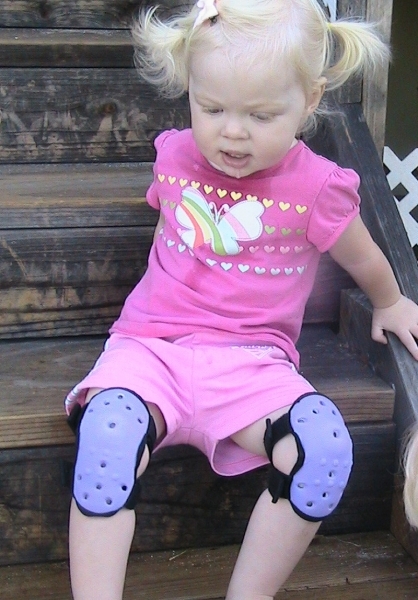 The soft-touch comfort leg bands stretch and contracts naturally to baby's every move. Protects against abrasive surfaces such as laminate, wood floors, stone tiles, or concrete. Also gives added protection when tumbling tots develop their gross motor skills further by playing with balance toys. Durable and ultra protective using the same impact and certified materials within our ThudguardTM Infant Protective Safety Hat - Perfect added protection to use with our AWARD winning ThudguardTM Infant Protective Safety Hat - Learning to walk in a world of hard surfaces just got safer! Our products do not contain Azo Dyes, Phthalates or Bisphenol-A and are formaldehyde free. IMPORTANT: No safety product can guarantee to fully protect against injury. ILA (Scotland) Ltd, ThudguardTM Group - recommend full parental or care provider supervision at all times.